Kathleen Zagustin Father Christopher…..how many ways can we describe the positive impact you have made on our lives. I have lived all over the world and attended Mass from St. Peters in Rome to a hut in the Amazon territory in Venezuela. 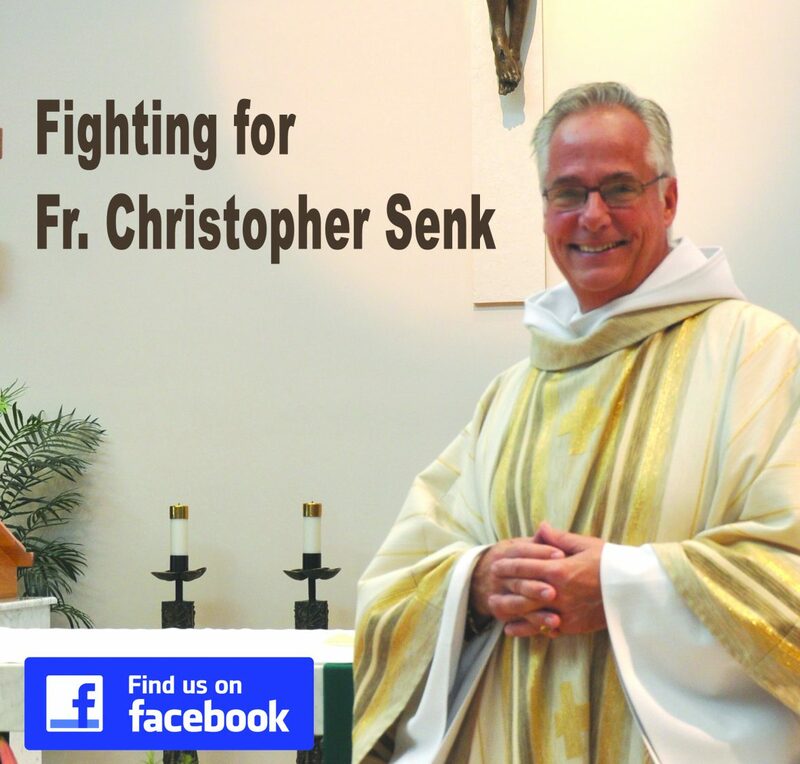 My husband and I have been blessed with various priest friends who are unique and dedicated, but only Father Christopher challenged us with love. We looked forward to each Sunday knowing we would be blessed with a spiritual gift and would leave church giving thanks for such a beautiful time in prayer. Even when he was suffering great pain physically,he always was there for us. He is a “teachers,teacher”. There always was a challenge to take and reflect upon. Christmas and Easter were truly times we cherished and celebrated fully at St. Isabel’s with the warmth and love that filled every corner of the church. Fr. Christopher’s detail and dedication to vocation was always present. The music, flowers, even on Mothers Day and Fathers Day everyone was included. He somehow managed to embrace everyone in his goodness,he never once critizided anyone and always greeted everyone with acceptance. We left church feeling closer to God. For Richard and I ,Father Christopher has become a inspiration in a difficult and troubled world. You could not have said it any better than that ! We feel exactly the same way ! This priest and this kind of person does not deserve this kind of treatment. He has been a priest for 41 years and loved serving in such a parish as St Isabel’s..he chose to live in the world where families would interact with him and could grow and he could grow too due to that kind of helpful relationship …….where good Catholic families welcomed him and appreciated his many gifts he shared with us! Let’s apologize to him—he didn’t do anything wrong – and bring him back to serve the Church and parishioners as well as those visitors who loved his simple and authentic ways. He represents the best of priests – he is a man of prayer and he is living his life as intended and ordained as a dedicated Catholic priest. God bless him and any who will be there to help him battle this unfortunate ordeal.